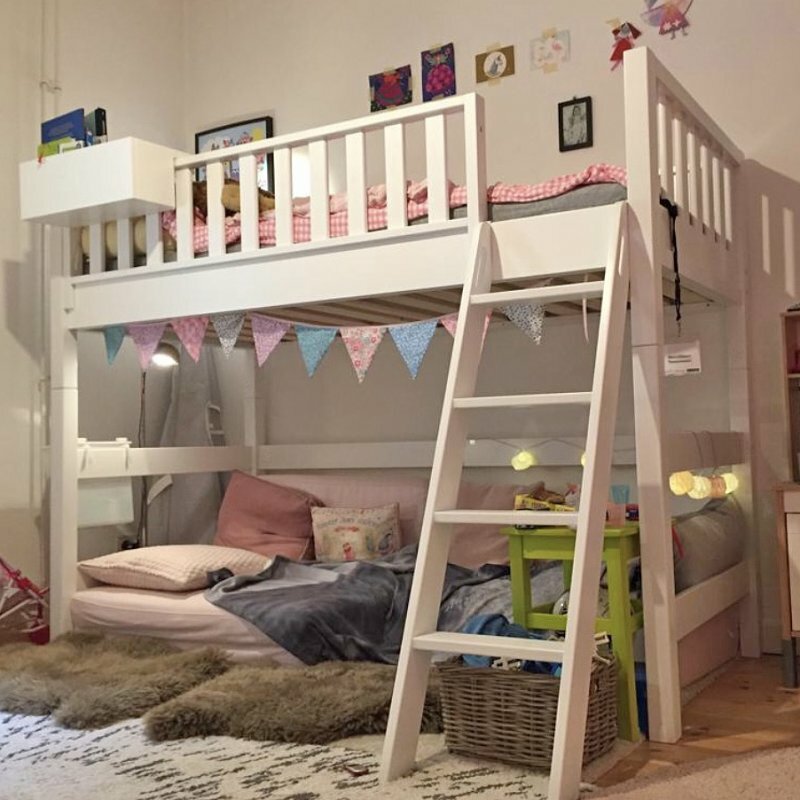 Loft bed ROOMSTAR is a true multifunction cot with his 160cm overall height. 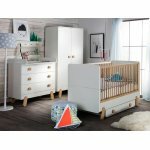 With just a few clicks it is convertible into a day bed or even to a basic bed, whichever you prefer, and then what fits youth room in the nursery or later. Included in this range are also suitable conversion parts and the head of the bed 160cm high variant. Furthermore, an additional failure protection, this set includes front with a height of 45cm. 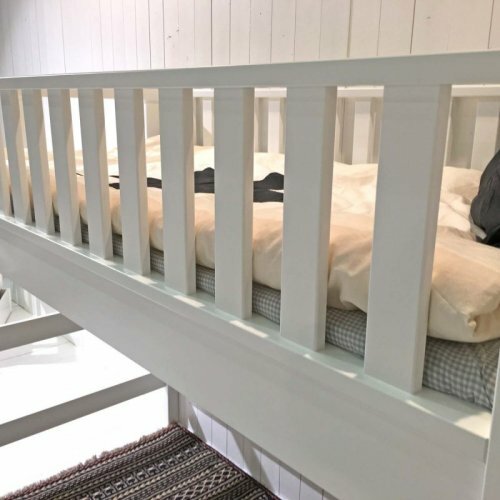 Assuming a mattress height of around 12cm (for example, with the loft bed mattress ELBBRISE), so is the fall out protection on the mattress around. 33cm. The requirements of EN standard 747-1 / 2 argue for only 16cm. The requirements of the standard are so far exceeded at this point. Even with our mattress ROOMSTAR AIR we übererfüülen the requirements of the standard in this area! 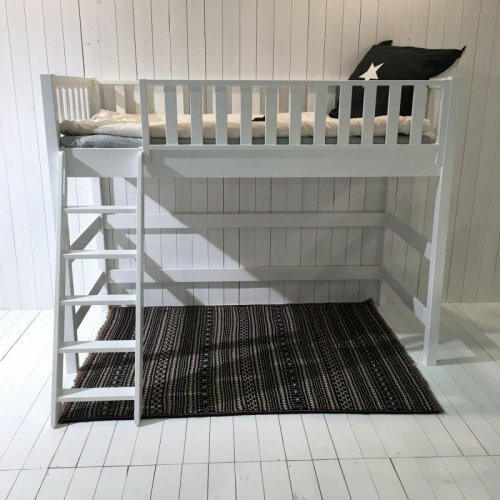 Besides the many great reasons for choosing this Multifunctional loft bed set, but excels particularly the Scandinavian understated and classic design that makes this crib and youth bed at a very attractive piece of furniture. The great advantage of this timeless design is, among other things, that the bed always fits, no matter how the children changed in color. play beds for example, having a slide or a fire truck replicate are quickly sold back again with the kids out of fashion and must, if the offspring will no longer accept them. With a mattress size 90x200cm (slatted supplied) this noble multifunction loft also offers a lot of space, so that it can make your child really comfortable. 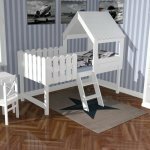 The use of solid wood, to carrying bodies complemented by robust MDF, ensures that you are at this daybed and loft bed long have much joy. 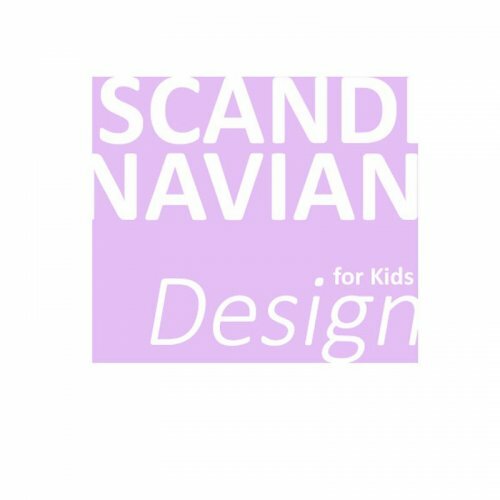 By conversion kits you can for a long time always follow your child's needs and the Jugendett either flat (70cm) or high (160cm) build, and all this only to have to buy more surrounding parts in a very short time and without. The ROOMSTAR Multifunction loft bed has a total height of about 160cm, a width of about 98cm and a length of about 208cm. 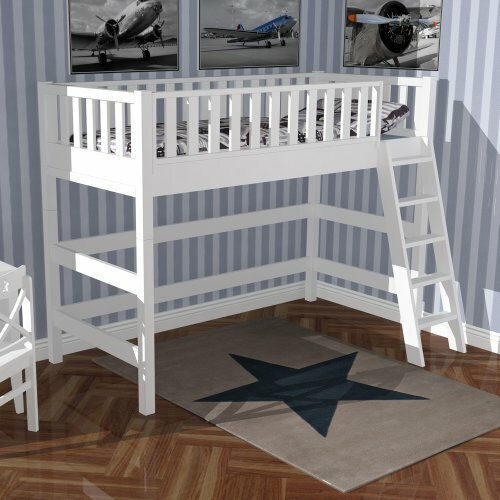 In this set you will find a conversion kit for a bunk bed with a height of about 160cm. Also included is a slatted frame. 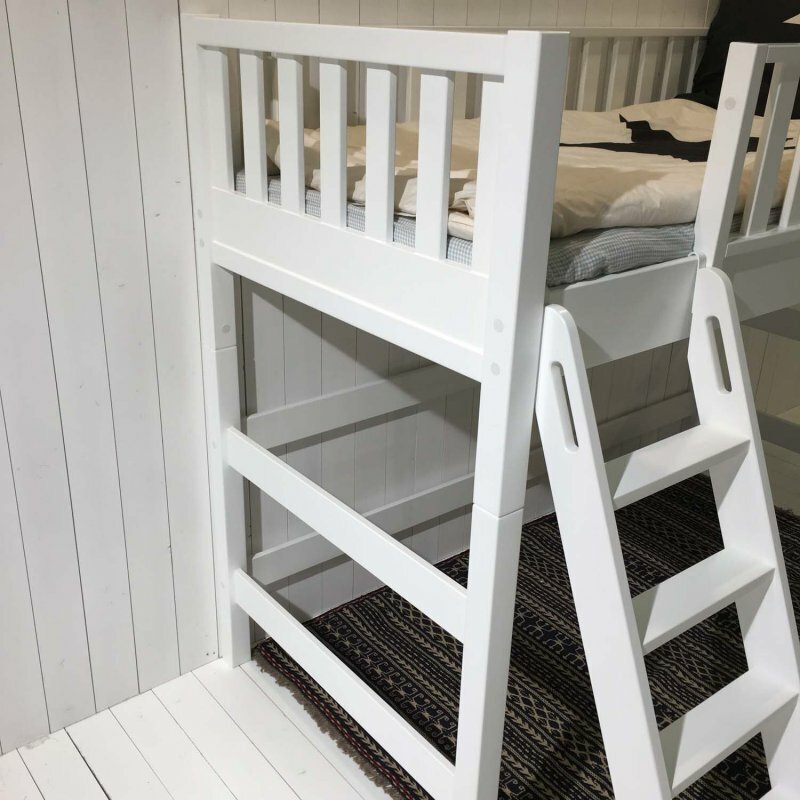 The basic bed and bunk bed set is made of solid wood and MDF and designed for the mattress size 90x200cm. The paints used conform naturally to the European Standard (EN 71-3). A mattress is not included in this set. Matching mattress you will also in our shop here.